As more companies eliminate or reduce their pension plans, people are taking closer and harder looks at their personal retirement saving options. One possibility that appeals to owners of traditional IRAs is converting those savings to Roth retirement accounts. Right now, higher-income individuals can’t take advantage of such a transfer, but that will change in a couple of years. Be careful, though, whether you’re considering a conversion now or down the road. While a Roth IRA has definite advantages for many people, it’s not necessarily right for everyone. And even if the move does make sense for you, you’ll pay a price. 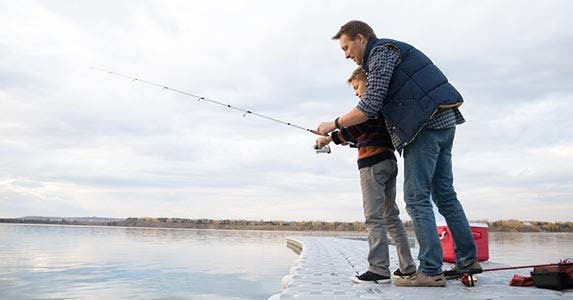 There are ways, however, to manage the financial bite and ensure your IRA meets your retirement needs. If you started an IRA as soon as the option became available 33 years ago, for what we now call a traditional account, you’d likely have a nice nest egg. The one downside: When you start taking out money, much of it will be taxed. And it will be taxed at your ordinary income rate, which could be high as 35 percent, rather than the more favorable rates usually afforded investment income. That’s not the case with a Roth. Once you’ve held the account for five years, you won’t owe the IRS anything when you withdraw the money at retirement. Converting a traditional IRA to a Roth gives you that future tax-free benefit, but at an immediate tax cost. You’ll have to pay taxes on contributions that you previously deducted, as well as on the account’s earnings. 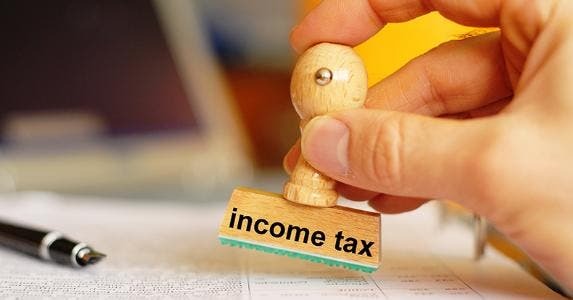 Conversion also could push you into a higher tax bracket, especially if you’ve accumulated sizable earnings over the years. True, only the portion of your income that falls into that new bracket will be taxed at the higher rate, but it’s still an added bonus for the IRS at your expense. Then you must consider exactly how to cover the conversion taxes. Some account holders end up using money from the traditional account to meet this obligation. Not a good idea, say experts, because that reduces, sometimes dramatically, your retirement holdings. Plus, if you’re younger than 59½, when you take out the cash to pay the IRS, you’ll also face a 10 percent early distribution penalty. Upon facing such tax considerations, some traditional IRA holders decide to forgo conversion. But that might not be the only, or best, option. It is a fact that you can’t escape the tax pain of transferring to a Roth account. You can, however, control it. Simply move your traditional IRA money to a Roth gradually through partial conversions for several years. “You can partially convert $100, $100,000 or whatever,” says Jeff Bogue, Certified Financial Planner and principal of Bogue Asset Management LLC in Wells, Maine. Even better, you don’t have to transfer the money from one account to another on any specific timetable. That way, you have some control over your tax bill. For example, you have $10,000 in a traditional IRA but cannot afford to pay taxes on that full amount. You do, however, have enough cash from non-IRA sources to pay for a $1,000 conversion. By moving that amount from your traditional IRA to a Roth, the extra grand will be added to your 2007 income when you file your return next year. Let’s say that in 2008, you receive a large bonus that will push you near the top of your current tax bracket. To keep from going into the next higher one, you decide not to convert any IRA money that year. Then in 2009, you buy a house and are able to itemize deductions for the first time. Because your home-related deductions will help lower your taxable income, you decide to transfer $5,000 more from your traditional account to your Roth IRA. Just make sure, though, that your new 2009 income level doesn’t pose other tax problems. Yes, your tax bill, even with the additional income, might be essentially the same as in prior years, thanks to your new itemized deductions. But the extra $5,000 from your IRA will increase your adjusted gross income, and that larger figure could keep you from claiming some credits or deductions, says Bogue. In addition to determining a traditional-to-Roth schedule, you must also make sure you know precisely how much of your converted money is taxable. The tax consequences of conversion are easiest, administratively, if not on your pocketbook, if you made only deductible contributions to your traditional IRA. In this case, you’ll owe taxes on all the money, contributions and earnings alike, that you move into a Roth. Some individuals, however, have a mixture of deductible and nondeductible money in their traditional IRA. Take the case of Janet, who opened a traditional IRA when she began her first job 20 years ago. Her small employer didn’t offer a retirement plan, so Janet decided to save on her own and get the advantage of deducting her IRA contributions. Janet invested in the IRA regularly, even after she changed jobs and her subsequent employers all offered retirement plans. She decided that the more she could put into all available retirement options, the better. When the Roth IRA appeared in 1998, Janet considered converting her original traditional account to the new version, but by then her career had progressed nicely and she made too much money to qualify for a Roth account. Right now, if you make more than $100,000 — and that amount applies to single taxpayers as well as married couples filing joint returns — you can’t convert your traditional account to a Roth. (A law enacted in 2006 will remove this earnings limit; more on that later.) Couples can’t circumvent the earnings cap by filing separate returns; conversions are not allowed for couples filing separately. Now Janet has moved to part-time work, with no company retirement plan and earnings that meet the Roth guidelines, and she wants to convert her traditional IRA. 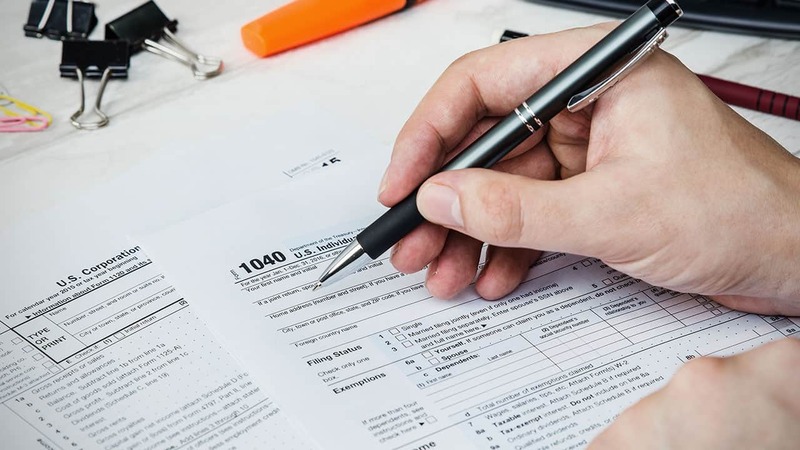 Because her account contains her early deductible contributions and many years of nondeductible ones, she needs to figure out just how much of the money in her old IRA will be taxable when she moves it to a Roth. Such commingled IRA money also happens when a worker leaves a job and rolls money from an employer retirement plan, such as a 401(k), 403(b), SEP or Keogh account, into an existing traditional IRA instead of putting the money in a separate, dedicated, traditional retirement account. Since the money in these company plans was not previously taxed, the IRS will collect on it when it is converted to a Roth account. Ideally, Janet and other IRA holders with commingled accounts have regularly filed Form 8606. This tracks your IRA basis, the nondeductible portion of an IRA, and this amount isn’t taxed upon conversion because taxes were paid on the money before it was contributed. With equity investments in taxable accounts, account holders generally keep track of the shares they purchase so they can specify for tax purposes which shares to sell. This allows them to designate older shares, which will then qualify for lower long-term capital gains rates. If you keep good IRS contribution records and know your basis, can you use a similar approach? Can you designate only already-taxed money to be converted so as to avoid, at least for the year of that conversion, a tax bill? What if you have two traditional IRAs, one that’s fully deductible and the other that is only partially deductible? Can you opt to convert only the already taxed money in the partially deductible one? Again, you’re out of luck. Tax laws say all traditional IRAs must be considered as a single account. “You have $50,000 in each,” Rucci says. “In the nondeductible account, you have a basis of $30,000, that is, $30,000 in contributions that you did not deduct. You must allocate that $30,000 to both traditional IRAs, at 50 percent each, even if you’re only converting the deductible amounts. So you get $15,000 of basis in both. “The tax laws will not give you 100 percent of basis on converting just the traditional nondeductible IRA contributions,” says Rucci. “In other words, you can’t take the nondeductible money as a distribution off the top. They allow you to recoup your basis proportionate to the rollover you’re making. It also can be complicated. So if your traditional IRA is, like Janet’s, an amalgam of contributions, you probably should speak to an accountant or other tax adviser before converting. Don’t let potential conversion intricacies scare you away from converting, say experts. It still could be worth the effort and upfront tax costs. The key to consider here, says Rucci, is your time frame. “The Roth works best when you grow your money over a period of time so that it exceeds the amount of the taxes that you paid when you put the money in,” says Rucci. But each person’s situation is different, and an older person might find conversion a valuable strategy. Take, for example, a person with a large traditional IRA, who is approaching 70½, the age at which he has to begin taking required minimum distributions, or RMDs, from the account. Such mandatory withdrawals are not part of a Roth plan. 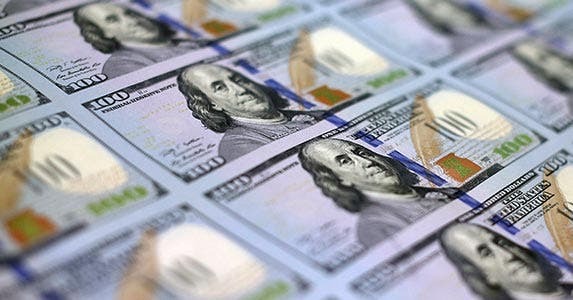 “For retirees in a distributions situation, it’s a great way to lower your IRA a little bit so that you don’t have to take large RMDs,” says Bogue, who also writes a financial column for MaineToday.com. The retiree will then get to leave money in the Roth longer, producing more earnings that will be tax-free when he ultimately does take them out on his timetable, not the IRS’s required distribution schedule. If you’re willing to wait a few years, you can get a little IRA conversion help from Uncle Sam. The Tax Increase Prevention and Reconciliation Act, or TIPRA, that became law in May 2006 will allow all taxpayers, even those making more than $100,000, to convert their traditional IRAs to Roth accounts as long as they do so in 2010 or later. As an added incentive, the law also offers you the chance to spread out any conversion taxes you owe over the next two years. So if you convert in 2010 and owe $50,000 in taxes for doing so, you can pay $25,000 when you file your return in 2011 and $25,000 with your 2012 filing. The new rules only apply to conversions made in 2010. And the removal of the earnings limit is for conversions only. The existing income ceilings on opening or contributing to a Roth IRA remain. While removal of the conversion earnings limit no doubt will please many making six-figure-plus incomes, the basic considerations remain: Will converting provide you with more, not just tax-free, money in retirement? And can you pay the taxes from another source so that you don’t eat into your IRA savings to pay them? Generally, converting to a Roth IRA makes sense when you expect your tax rate to stay the same or to go up in retirement. If you expect your tax rate to fall in retirement, then you need to run the numbers carefully to see if converting now makes tax and financial sense. Bogue is an ardent supporter of Roth accounts and conversion to them when appropriate. Feeling comfortable about a conversion, however, also depends on your confidence as a tax bracket prognosticator. Do you think you’ll be making less in retirement? If so, you might want to hold off on converting since, if your prediction comes true, your IRS bills on retirement distributions should be lower than what you now pay. Just make sure you’re figuring in all potential retirement income. “A lot of people who’ve been saving through a 401(k) are going to get taxed on it and (in retirement) they will be right where they were (as far as taxes) when they were working,” says Bogue. And what if lawmakers decide to start increasing tax rates? Both Rucci and Bogue agree that, given the large federal deficit, don’t expect current tax rates to remain this low indefinitely. “A lot of people are saying they’re going to make a Roth contribution since tax rates are very low now,” says Rucci. If you agree with that premise, paying the tax today and getting the leverage of growing your money tax-free is an alluring thought.